If you’re looking for a new book with a determined, strong female role model then this is for you. I love this book personally, Izzy is living my childhood dream and doing loads of things I’d have liked to do. She is an inventor and has adventures based on her inventions. There is a strong message behind the story about resilience and trying again which is really appealing at the moment in our household as I try to encourage my five year old to not give up at the first sign of something going wrong. Izzy Gizmo has been created by Pip Jones who is responsible for Fifi’s favourite series Squishy McFluff and illustrated by Sara Ogilvie who is one of Booktrust’s Best New illustrators and has brought a brilliant character to life here. 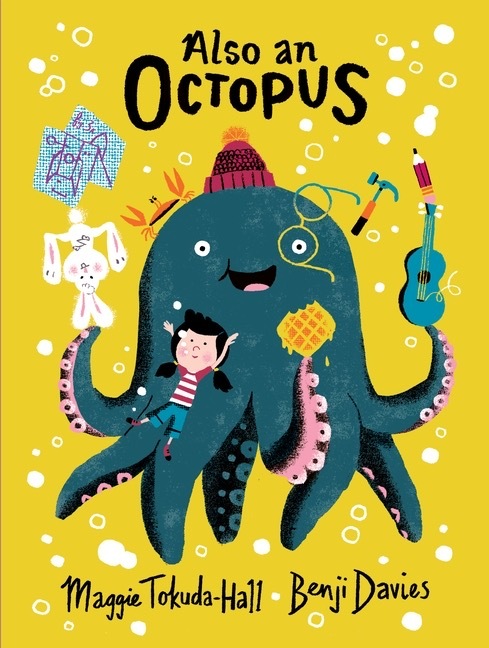 This is a colourful, well presented and fun picture book and it comes as no surprise that its shortlisted for the 2017 Sainsbury’s Children’s Book Awards. Sometimes its difficult to think about how to write a story, this book is for those moments. 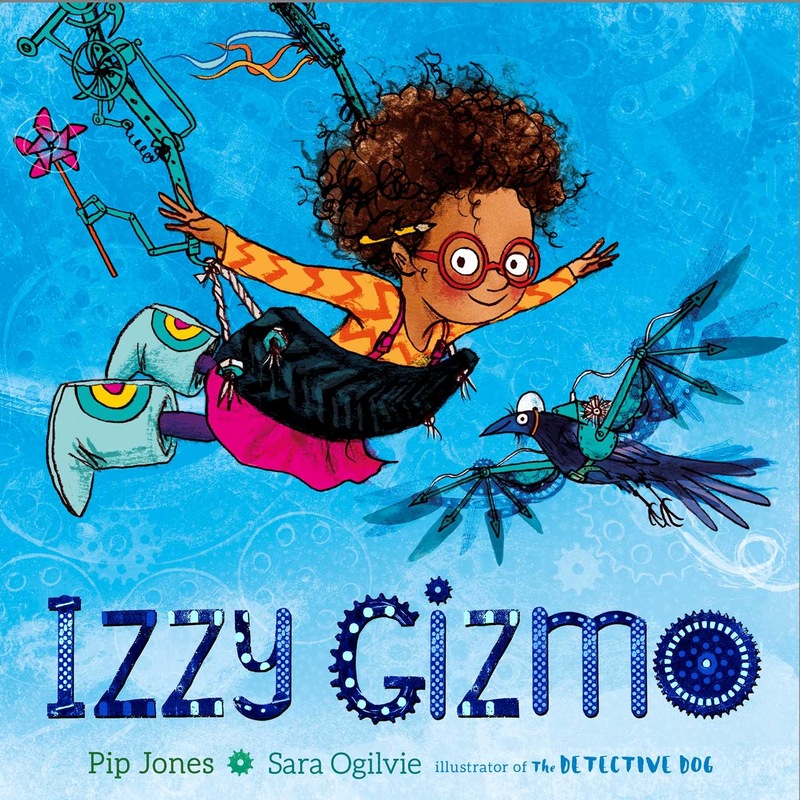 It really is a fantastic metafictive picture book which works on lots of different levels making it perfect for our household of children whose ages range from 5 to nearly 10 years old. I really enjoy reading picture books which are essentially about story-telling and creation to the children as I find that they always stimulate a lot of conversation. This book was no exception with lots of discussion about alternative characters and scenarios. I cant write this review without mentioning Benji Davies fabulous illustrations. Having previously reviewed Storm Whale and Grandad’s Island, Also an Octopus has a very different feel to it. The illustrations have a vintage feel to them and fit the story perfectly, providing children with lots to see and engage with. This is a great addition to your bookshelf, its a brilliantly sculpted way to assist the children with structuring their own stories but also a great story in itself. Very entertaining!